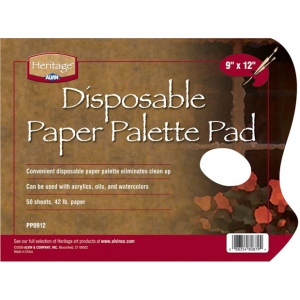 Convenient disposable paper palette with thumb-hole eliminates clean up. * 42 lb. 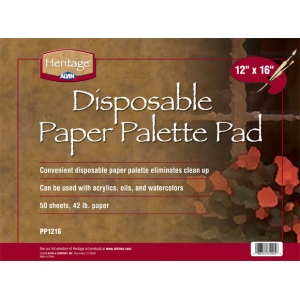 paper can be used with acrylics oils and watercolors. The quantity is 50 sheets. The weight is 42 lb.